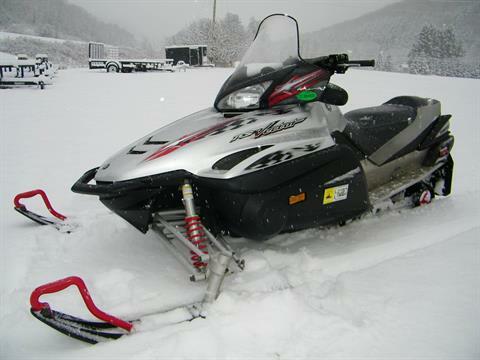 RS Vector ER...with great lookin' graphics...this consigned sled has a brand new battery and wants to ride! 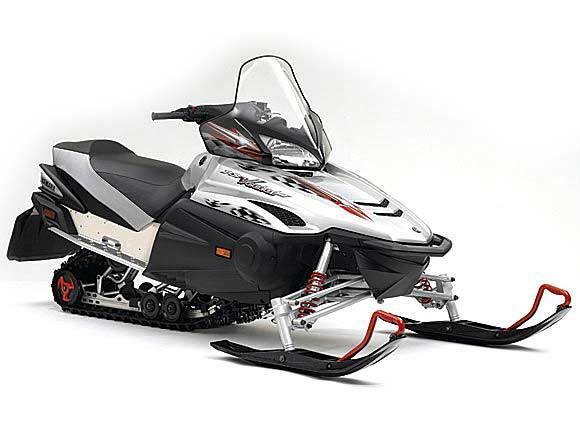 The Sled Legends Are Made Of Class-leading power from the three-cylinder Genesis 120™ four-stroke. Steady, instant-on power and linear torque that pulls so smoothly you have to check the digital speedometer to believe it. Just twist the key to start the ignition sequence, and cruise on down the trail enjoying the dual-exhaust music coming from one of the sweetest four-stroke motors in snowmobiling. That performance is backed by the aluminum HPG front shocks and a ride-friendly Mono-Shock™ RA rear suspension engineered for ease of maintenance and tuning. Set rider weight, dial in weight transfer, then fine-tune the ride with the remote access dial in the RS Vector ER chassis. Sure-footed on the straights...flat and positive in rutted-out turns. Wide running boards with star-punched tractionThe RS Vector ER’s wide running boards feature star-punched traction throughout its entire length. The boards also have an outer traction roll for additional sure footing in any riding condition. As an added benefit, the traction holes help evacuate snow and slush from the running board, delivering additional confidence and comfort. Digitally controlled hand and thumb warmersThe RS Vector ER’s hand and thumb warmers have been consistently rated among the best in the industry. They are individually-controlled, with the settings shown on the digital gauge so that riders can see them. 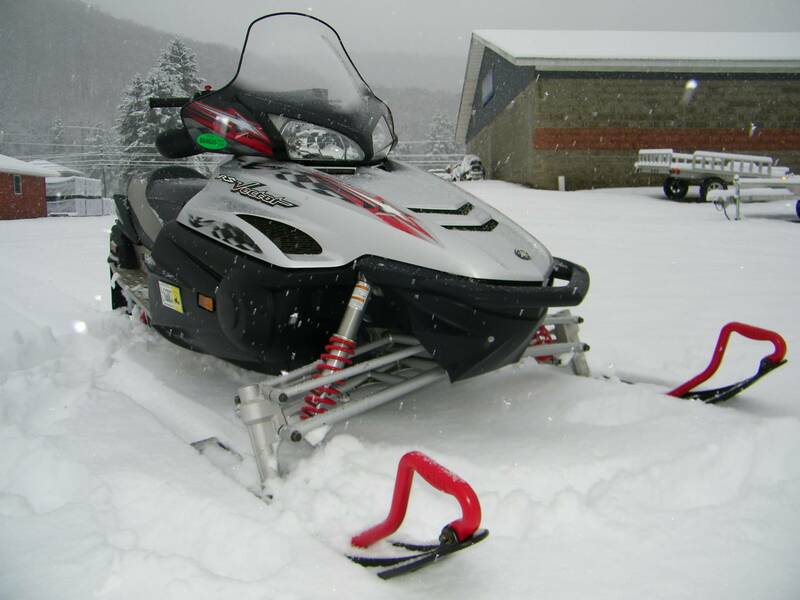 Owners can choose from ten settings on the grips and ten settings on the thumb warmers, as opposed to the hi/ lo settings of most other sleds on the market. Standard electric startYamaha’s electric starter system allows consumers to fire up their RS Vector ER with the turn of a key. There is no pulling on a nylon cord to get this high tech engine growling! Electric start has been a standard feature on all of Yamaha’s 4-stroke machines, dating back to the original RX-1 in 2003. LCD gauge podThe digital gauge pod on the RS Vector ER allows the driver to see key data at a glance. Either tachometer or speedometer readings can be displayed digitally, with the other appearing on the sweep gauge. The gauge also displays heater settings, fuel level, engine temperature and odometer. 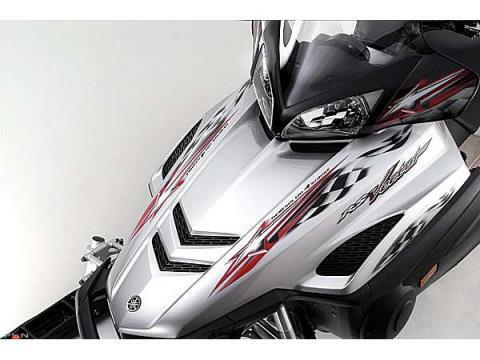 Yamaha offered the first digital gauge cluster in 2002 on the SX Viper. Since then, it has become a standard of the industry. The digital readout has been copied by the competition almost across the board. Aluminum HPG front shocksThe High Pressure Gas (HPG) shocks on the RS Vector ER’s second generation front suspension geometry deliver consistent performance with excellent fade resistance. They are rebuildable and rechargeable for years of quality service. Saddleless plastic skisThe saddleless plastic ski reduces unsprung weight and its aggressive keel design provides strong bite to help the RS Vector ER corner. Camoplast Rip Saw™ trackThe Camoplast Rip Saw™ track is a standard feature on the RS Vector ER. It has been widely acclaimed in the industry as the best all around OEM track for acceleration, cornering bite and everyday trail usage. The Rip Saw™ track is the result of a collaborative effort between Yamaha and Camoplast. It first appeared on the 2004 4-stroke models.